Peel the carrot and chop into small pieces. 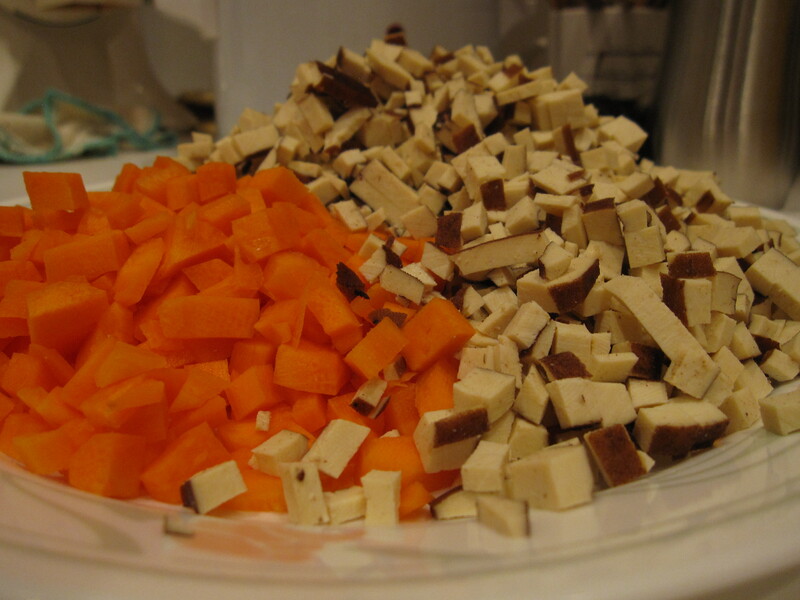 Cut the tofu into similar size pieces. 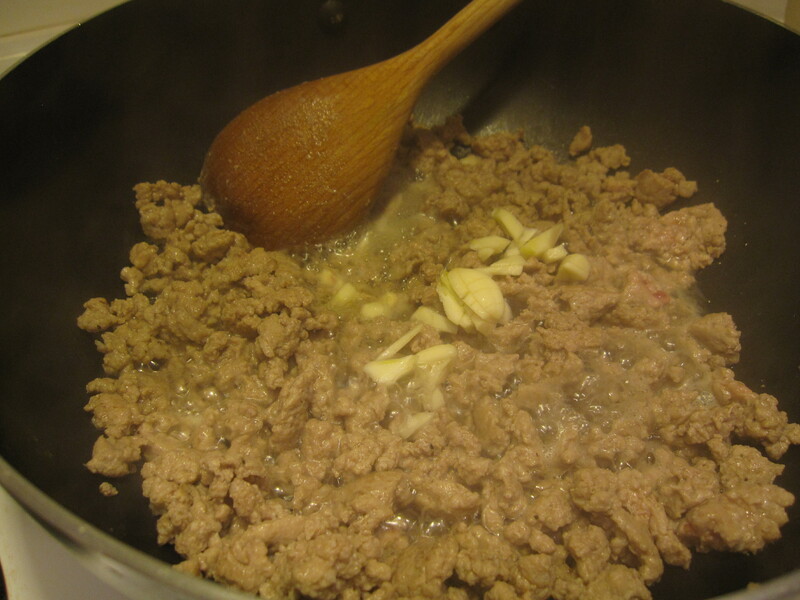 Saute the ground pork with the garlic until done. 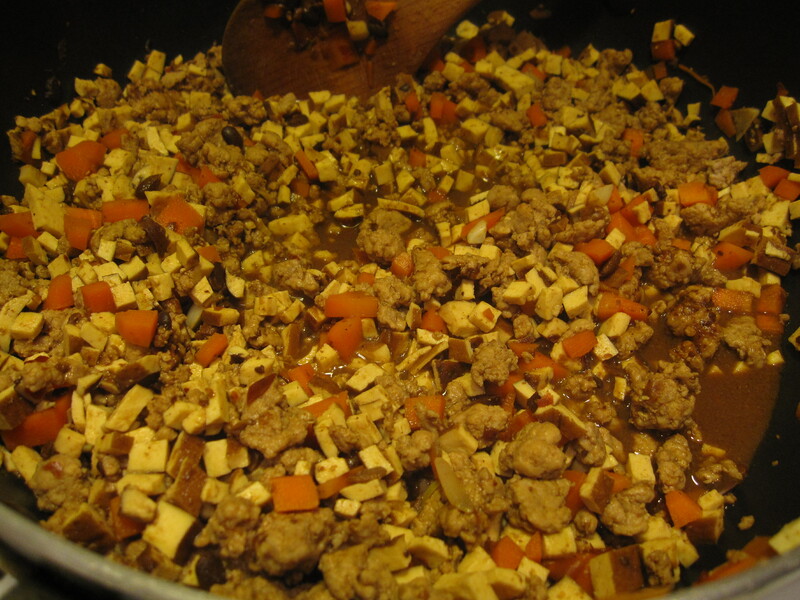 Stir in the carrots, tofu, and 2 cups of water. 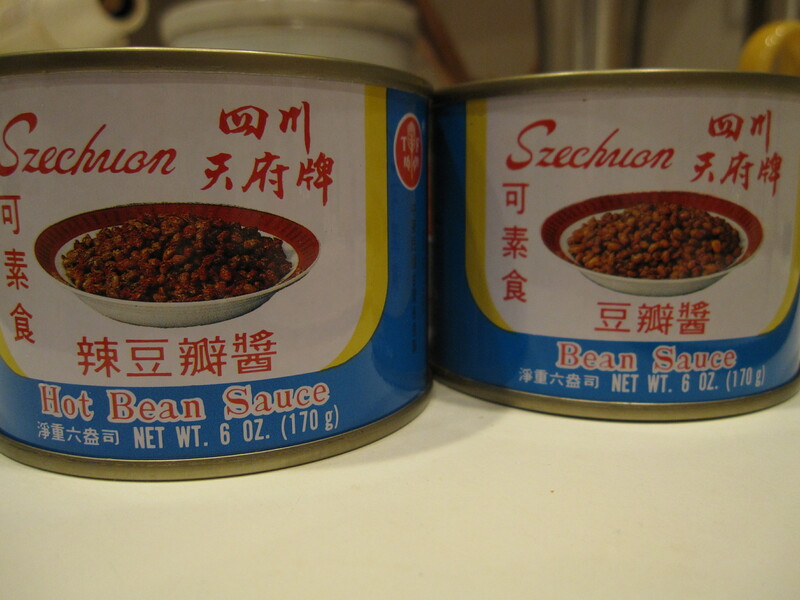 After the water comes to a boil, add in the bean sauce and hot bean sauce – start with 3 tablespoons each. Add equal parts of each sauce if you’d like more flavor. Stir until mixture is evenly coated. 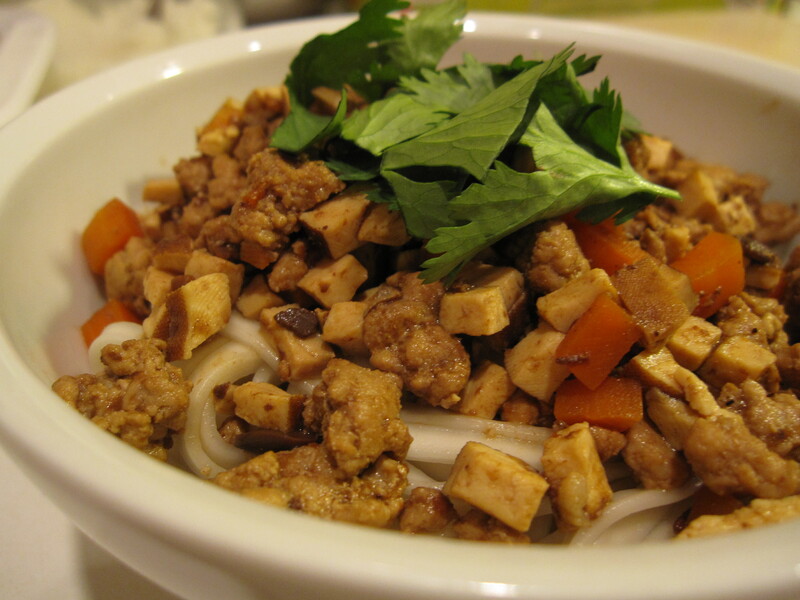 If you like more “saucy” zha jiang noodles, you can always add more water or soy sauce for more flavor. Boil noodles in separate pot. Drain and serve with zha jiang sauce. This recipe can usually feed a big group – I’m thinking at least 8-10? I usually make a lot and freeze the leftovers so I won’t be eating zha jiang noodles for 4 days straight. As for the leftover hot bean sauce and bean sauce, I’ll seal them tight into plastic bags, refrigerate, and use them within the month to make ma-po tofu! omg you’re going to make me fat. but i love you emily wang!